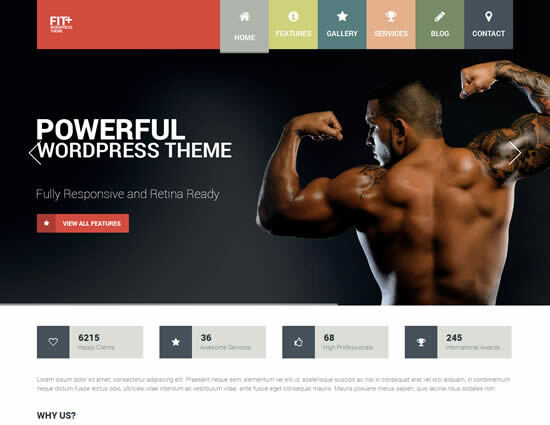 Sports WordPress Themes is a best premium templates for your fitness, gym or sport club related responsive websites with functionality and premium features. Choosing the perfect sports or fitness theme is a thing of knowing how the template will be used and how it will look and feel on your sport news websites. Looking at the quality of the sports theme are essential. 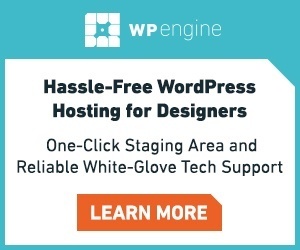 Really, price of the WP theme is a relevant aspect when picking the best sporting theme. 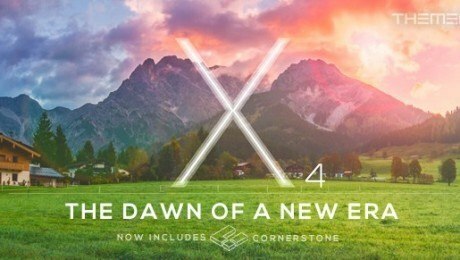 You might want to think about looking for just as quality theme that’s been concerning. If you need the best quality for the price, however you get rid of some assurance on the issue of the theme in this situation. There is collecting the Best WordPress Sports Themes which meet your needs to particular criteria for soccer, football, american football, basketball, baseball, rugby, cricket, volleyball, ice hockey, handball or sport clubs websites. HockeyStick is fully responsive famous 2-minute setup with unique full-width slider, eye soothing fonts and fully customizable WordPress Theme. HockeyStick theme maintained 6 full-width slider, powerful admin panel, 3 column featured area, google map integration and well documented with JS and PHP files. 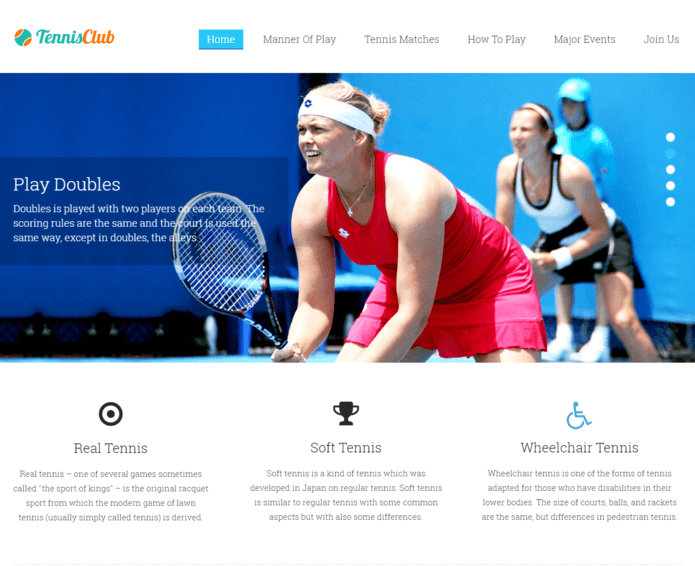 Tennis Club WordPress Theme is beautifully designed for the sports club and fitness centres. As theme has twitter based responsive design, multiple plugin compatibility, advanced portfolio options, easy to setup and install with debug mode on. Tennis Club theme supports social share and is accessible on all devices. 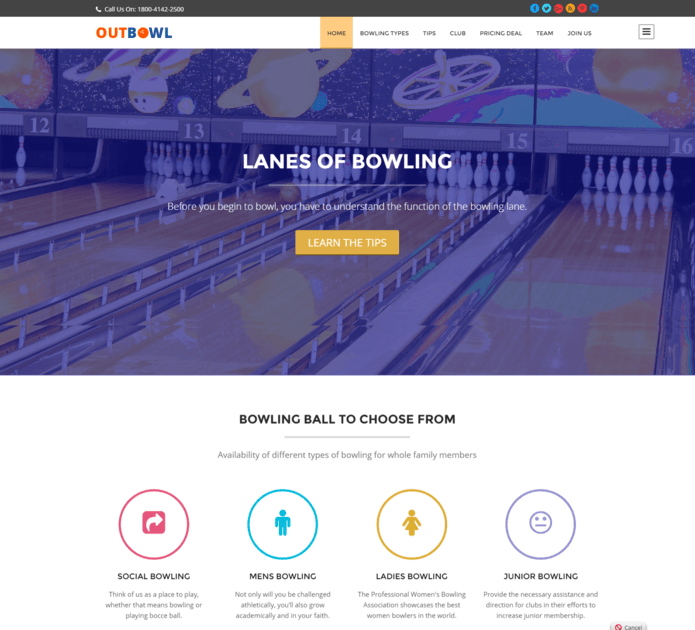 Bowling academy, malls, bars and casinos can make the best use of this OutBowl WordPress Theme. It is one page theme where you can properly add or remove sections, advance slider setting option, colorful pricing listing table, homepage blog & testimonial section, etc. 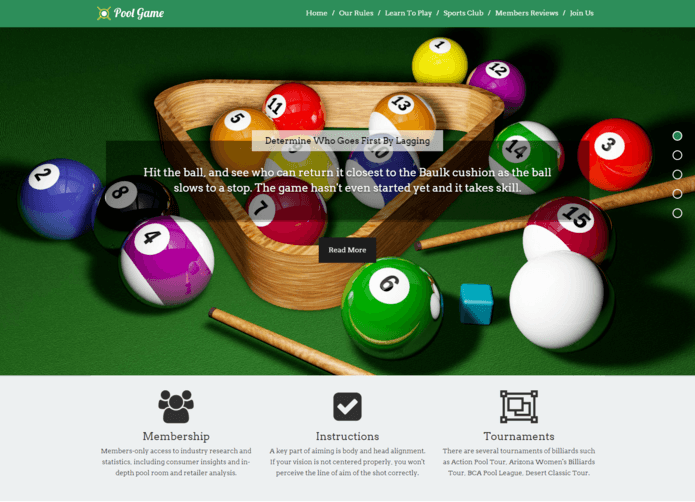 Pool Game is a one page WordPress Theme. 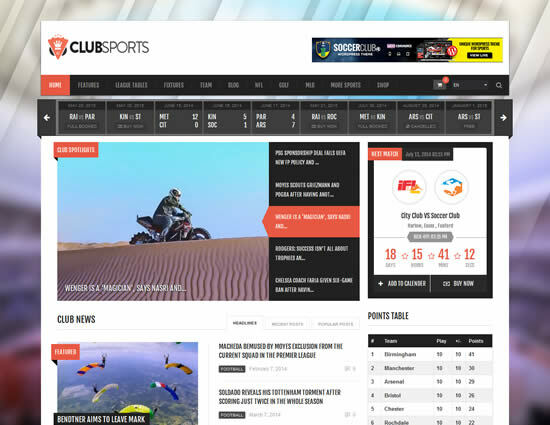 Fully responsive with widgetized footer, easy to set up is perfect for the sports website. 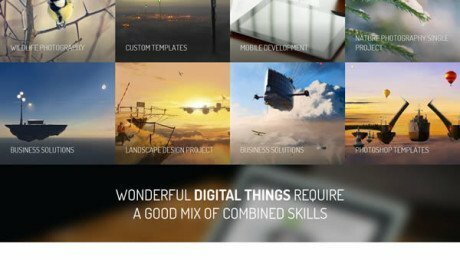 Some of its features are blog section Client’s testimonial section, amazing parallax background gives a 3D effect which is also an interactive way to keep people engaged filled with curiosity resulting in great conversion rates. This club sports is an all in one sports theme. It features a manage all the fixtures with incoming activity and handle all results for teams, this is best for Football, Hockey, Soccer and Tennis or societies based websites. 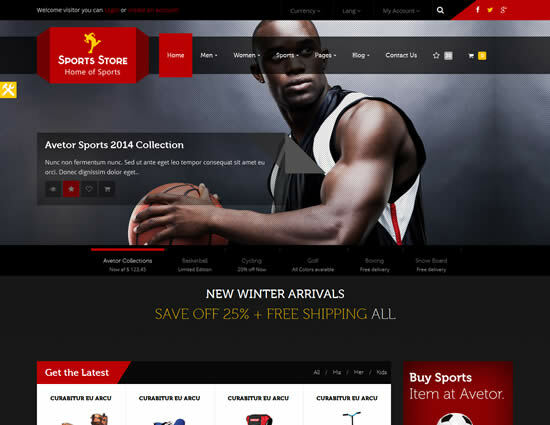 Sports Store a modern style home page layout with customizable bx slider, latest store items with filter options, different style blog layout, scrollable event manager, store locator, hot deals and unlimited colors option, as well as Bootstrap based created by using HTML5 with a responsive design layout. 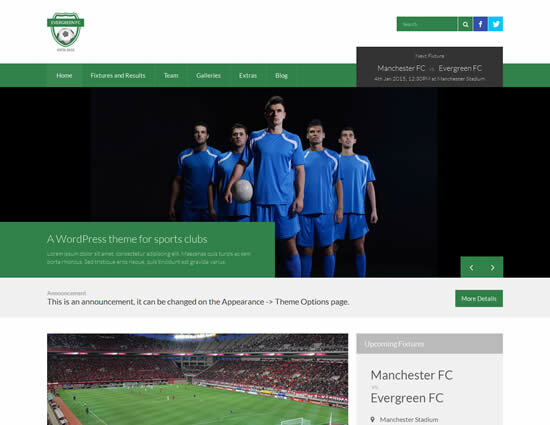 Evergreen Sports is a responsive minimalist design theme for WordPress based sports and societies websites with a focus on content. It comes with a free Simnor Sports Club Manager plugin to customizing and manage your team and fixtures easy. 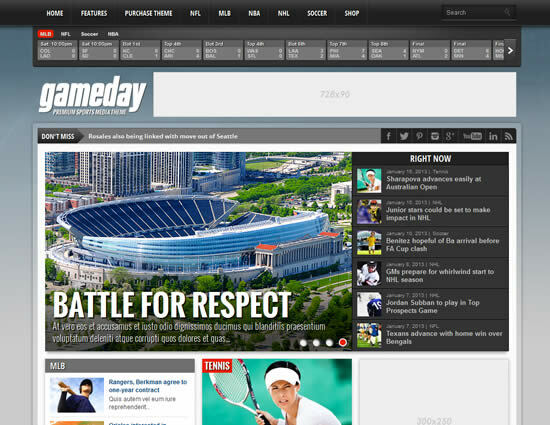 Gameday is the nicest sports and media WordPress theme I’ve see this year. This theme comes with advance features like bbPress and WooCommerce integrated. It also ability to easily enter and display scores from any sport with a custom-built scoreboard! 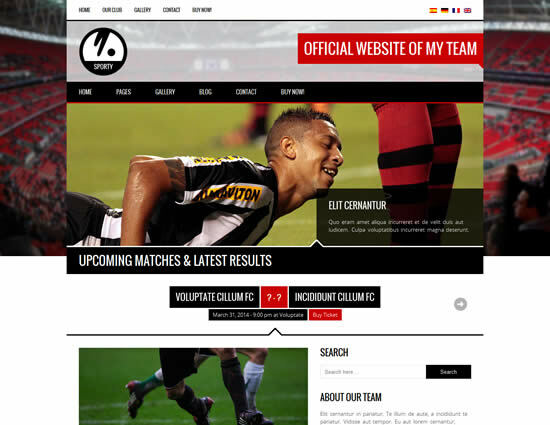 This theme is great for football, baseball, ice hockey, soccer and any sport club websites. 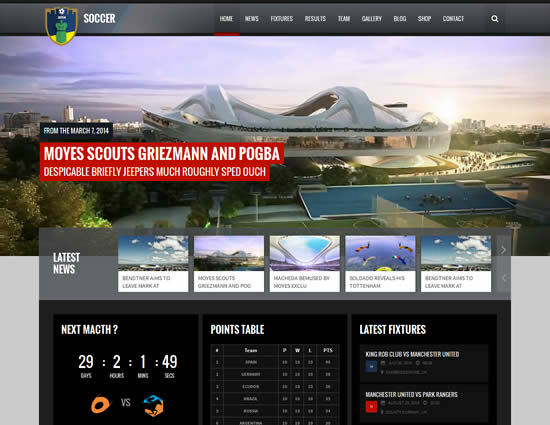 Sporty is a responsive modern and unique design with custom fixtures and results plugin, as well as powerful admin panel for easily customization. 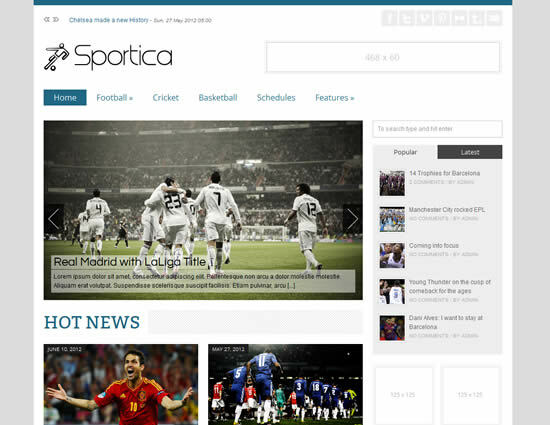 Sportica is a simple and clean style theme design for WordPress based Sports news websites. It is fully responsive layout and comes with many custom features like make customization in theme through option panel as well as easy to understand docs guide to use theme properly! Soccer club is an easy to manage fixtures, results, player and Team management with custom player’s profile, as well as points table to manage the points of the teams. 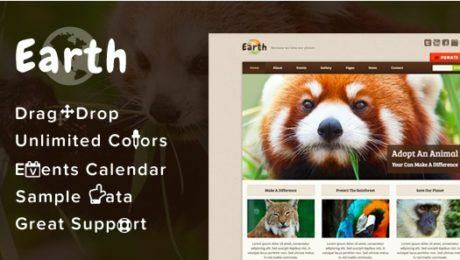 This theme built-in advanced page builder and ability to compatible with wooCommerce. 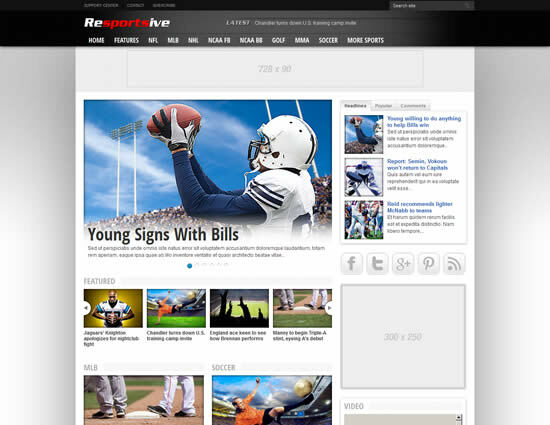 Resportsive is a visually striking sports news theme with a drag and drop homepage builder and nine custom widgets, responsive design layout to viewed perfect from any mobile devices. Power Gym is a beautiful responsive WordPress theme with a big bold full page background image to create awesome any fitness, gym or sport news websites. This retina-ready responsive design WordPress theme that has a unique style GT3 drag and drop page builder plugin built into the theme and many different ways of displaying posts.